COLUMBUS, Ohio - Gov. 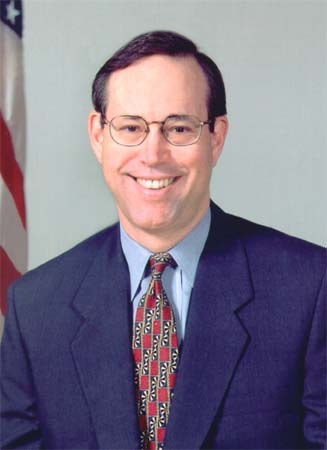 Bob Taft, often criticized for his low-key manner, has been busy this year playing the role of the traveling salesman. In his sample case: the most ambitious overhaul of Ohio's tax code since the 1930s. Taft has been crisscrossing the state since introducing his plan in February. He's visited numerous high-tech manufacturers to tout his Third Frontier initiative, then sells local businesses and government officials his tax plan. One such business is Dynalab in suburban Reynoldsburg. The company is adding $2.5 million worth of new equipment to manufacture circuit boards. Taft said that is the type of investment his tax update is targeting. The plan would cut individual income taxes by 21 percent, phase out the tax on equipment and machinery, eliminate the tax on corporate profits and add a new commercial activity tax. "The initiative the governor is proposing is really going to make businesses in the state of Ohio a lot more competitive," Dynalab chief financial officer Charles Arbuckle said. Taft's stop at Dynalab has been repeated more than a dozen times. He proposed major tax changes two years ago that died in a House committee. But administration officials say his campaign for this year's version is the most aggressive of his six-plus years in office. His point man on taxes, Lt. Gov. Bruce Johnson, and other administration officials have delivered speeches, sent out letters, met with local chambers of commerce and made calls to business leaders, legislators and others. Before the Ohio Chamber of Commerce released its alternative tax plan, Taft sent lawmakers a letter critical of it. "We've worked hard for a lot of initiatives over the years, but this is perhaps the most comprehensive, most ambitious initiative we've undertaken," Taft said. He called the changes his "No. 1 piece of unfinished business." Democrats say the plan helps only the wealthy, and some business groups, notably retailers, don't like the commercial activity tax. But at Taft's urging, other business groups and companies have endorsed the plan. Taft also has worked to secure the support of House Speaker Jon Husted and Senate President Bill Harris, both Republicans. The administration has been eager to face any criticism, Taft chief of staff Jon Allison said. "We feel pretty passionately we need to get this done, and we're not leaving any stone unturned," he said. Last month, officials from two Columbus companies testified against proposed increases in tobacco taxes. Within days, both were audited by the Ohio Department of Taxation, said Beth Wymer, of the Ohio Wholesale Marketers Association. The state called the timing a coincidence. Wymer wouldn't say there was a direct relationship between the audits and the opposition, but she said, "The timing is bad, regardless."